I wasn't all that happy when I saw my daughter's college report card. 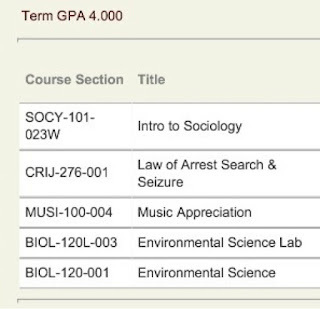 Now that daughter, the one who decided to take a semester of classes this spring, has a transcript that isn't quite the same. Maturity, time, and the working world has changed our little girl into a mature woman. How do we know? 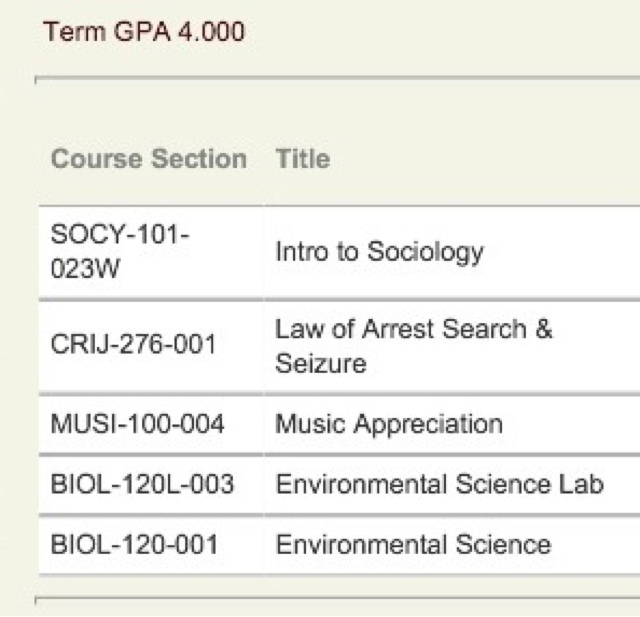 Check out her grade report for this semester of college. Way to go Miss 4.0 kiddo! We couldn't be any prouder!